Here are a number of short videos on some of our product solutions. All-in-one system for Internal Communication, Access Control for restricted area, and Video Surveillance. 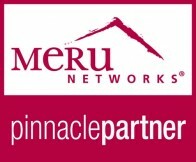 With support for two 802.11ac radios and 80 MHz channels, Meru offers 2.5 times the capacity of other vendors when DFS channels are unavailable. Others typically utilize half the available channel widths in enterprise-wide deployments, limiting their ability to leverage the full power of 802.11ac. This video demonstrates industry best Seamless Roaming user experience, enabled by Meru's wireless virtualization technology, providing users with high-quality, uninterrupted communications, even when roaming and connecting to multiple wi-fi access points. Here is a video outlining some of the most important features of the NEW Aiphone JO Series video door entry intercoms. The JP series colour video intercom system from Aiphone provides a 7-inch touch-screen door entry security solution for peace of mind. There is also an app available for answering on smartphones (Android or iOS). 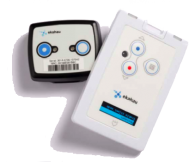 Ekahau Real Time Location Systems (RTLS) enable you to track people or assets within your facility or business. 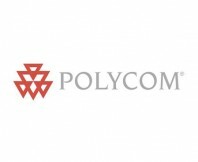 The Spectralink handsets from Polycom are more than just a cordless extension of your PABX phone system. Handsets feature integrated messaging and now available with 'Duress' functionality. Driven by the growing need to allow simple, secure access to a wider variety of Wi-Fi users, Meru Identity Manager provides identity-based visitor access and management capabilities for wireless and wired networks. 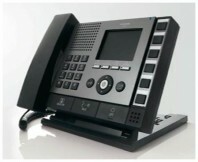 This elegant solution delivers secure, scalable wireless network access for guests, employees, and their mobile devices.